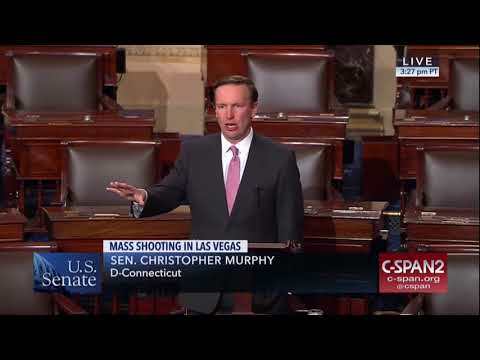 WASHINGTON – As he took to the floor of the U.S. Senate on Monday evening, U.S. Sen. Chris Murphy (D-Conn.) lambasted his Congressional colleagues for taking no action in the wake of continued mass shootings like the one in Las Vegas that left 59 dead and more than 500 injured. Murphy demanded that Congress take immediate action to pass comprehensive gun safety reforms – such as expanding background checks and closing the terrorist watch list loophole – to reduce gun violence. Click above to watch Murphy's full speech.